The Pacific Fishery Management Council is considering allowing industrial-scale longliners into waters off of California, Oregon and Washington. In the past, recreational fishermen have fought off longling. It's time to speak out again. 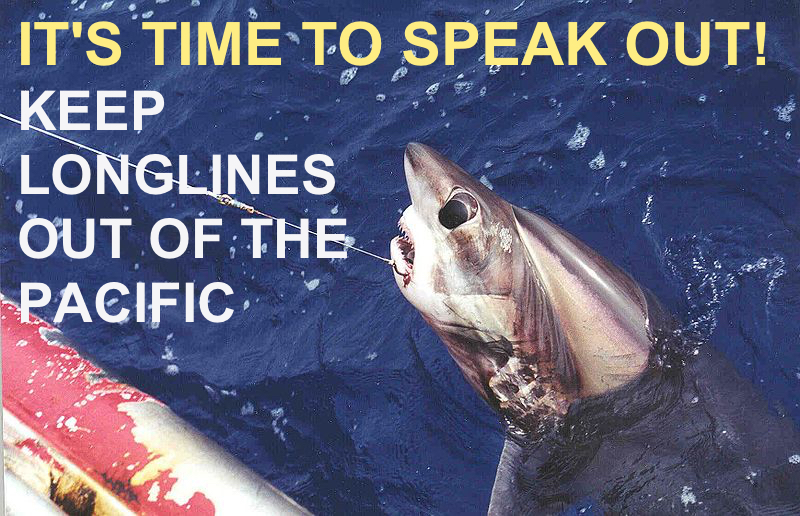 Tell the council, NO LONGLINES IN THE PACIFIC. Commercial longline vessels set fishing lines that are many miles long, with hundreds upon hundreds of baited hooks, to catch swordfish and tuna. But the indiscriminate and wasteful gear snags whatever comes its way, including marlin, sharks and sea turtles.